Hugh Lee Pattinson was a British industrialist and metallurgist who visited Canada on a business trip soon after the Daguerreotype method was announced in 1839. 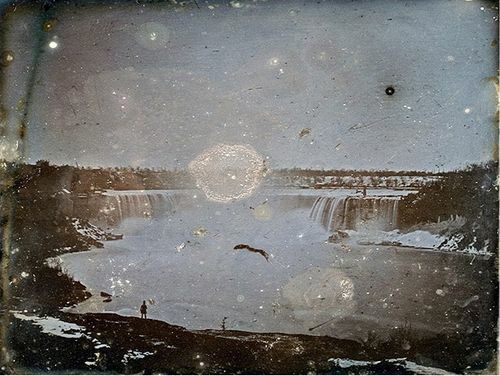 This photograph was taken at Niagara Falls and is considered to be amongst the earliest photographs, if not the earliest, taken in Canada. Eight Daguerreotypes by Pattinson are retained by Newcastle University Library.